The Dresden traditional dining collection reflects highly decorative double base with ball & claw feet, shaped top and decorative carving on the apron. 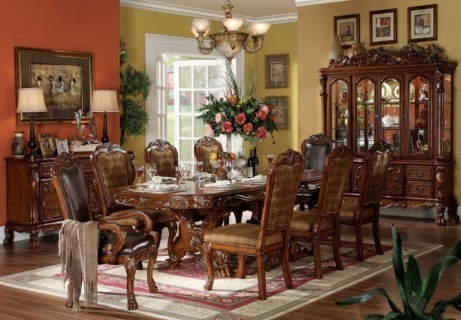 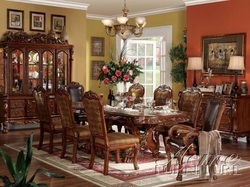 The dining chairs reflect carefully selected wood carving and tapestry fabric. Matching china & buffet reflects all carefully selected design features that match the dining collection.